A screenshot of the Ripple’s video. After a successful advertising campaign of eToro, a multi-asset platform which offers both investing in stocks and cryptocurrencies, Ripple, a California-based crypto start-up focusing on the banking sector, is trying to get their minute of fame. The startup has just published a new ad, and they’re mocking the outdated financial system by showing that it would be both easier and faster to get on a plane and deliver money directly. 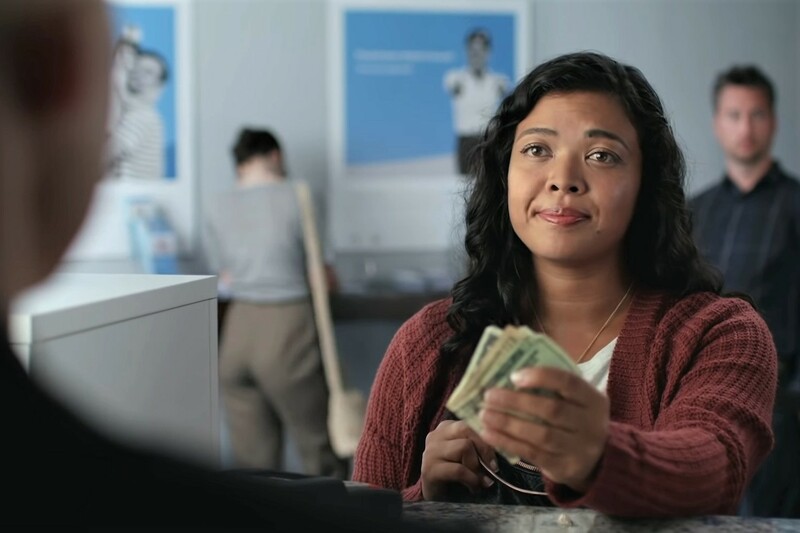 The ad shows a woman bringing money to a bank, and the teller getting dressed, boarding a plane, climbing mountains and navigating rivers and jungles to find the recipient and give them the money. “Global payments are fragmented. Ripple connects,” the ad concludes. Comments on the YouTube video are disabled, so the community took to Twitter to share their opinions about the ad. “I think this should be a Super Bowl commercial,” says user @cryptografix, while others are asking whether the ad will be televised. Yeah, but the point is to make sure crypto has a mainstream platform to present its use case to the world. In either case, the ad is already garnering attention, with more than 65,000 views on Twitter and more than 5,000 views on YouTube. Meanwhile, on Reddit, user u/LOSFan4 even says the idea for this commercial came from him! “For context: 68 days ago I posted here suggesting that Ripple make a commercial where they demonstrate how it’s faster to fly money around the world,” he says, linking the post that garnered some attention even back then, with close to 400 upvotes and 116 comments. Whether or not they got the idea from this Reddit user, the ad is just the latest in Ripple news: last week, the company said that they saw revenue from the sale of the digital asset XRP more than double this past quarter compared to the second quarter of 2018. The Q3 2018 XRP Markets Report states that they sold USD 163.33 million in XRP, up from USD 75.53 million in the second quarter. Also, a few weeks ago, Ripple announced that three clients have moved from pilot-testing to full commercial use of Ripple’s xRapid product, which uses the cryptocurrency XRP as a liquidity vehicle for cross-border payments. Back then, Alistair Constance, CEO of MercuryFX, UK-based payment provider, told Fortune that the company used xRapid to send a several thousand dollars in small denominations to a charity in Mexico. According to the CEO, the payments were made in two minutes at a cost of “not even a couple cents,” while sending USD 1,000 via SWIFT international payments network it would take 2-to-3 days to settle and cost up to USD 75.